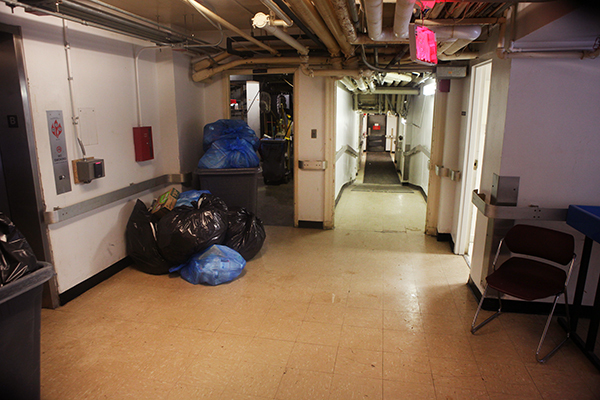 The basement of Mitchell Hall will soon be refurbished to house performance space. The University is planning to renovate the Mitchell Hall basement into a dance and theater studio over the next few weeks, opening up much-needed space for campus performing groups. Student groups will take over the basement area, which is currently a scarcely used classroom, after losing their space in the exercise science department. Groups will work with a campus architect to decide how it will be split between rehearsal and performance space. Student Association president Julia Susuni said the space would likely be a multipurpose area that could be used for small performances and practices. Renovations could include adding hardwood floors and mirrors and taking out a wall, Susuni said. “We know this is going to cost money, so whatever makes the most sense,” she said. Students will meet with GW’s Office of Operations and its newly hired architect over the next few weeks to begin planning the renovations. Zachary Evans, the former executive producer of the theatre group Forbidden Planet Productions who has been involved with the space discussions, said groups need more rehearsal space. “If the space was potentially renovated as a full rehearsal space, that would be fantastic, as currently most rehearsals are done in cramped classrooms in Phillips and Rome,” he said. Both GW Ballroom and the ballet group Balance hope that GW will install mirrors and hardwood floors because the room is currently carpeted. “Having this space is important to us because it gives us another option when the Marvin Center Ballroom is booked or when we do not want to pay the $2,500 a semester fee for using the space in the Health and Wellness Center,” Ian Redman, president of GW Ballroom, said. The group has been told it would cost them $3,500 to rent to space next year, he added. Rachel Weiss, the president of Balance, said having access to more space would allow the group to expand their production schedule, welcome larger casts and grow the tap dance program. The group already reserves the Marvin Center dance studio for about 15 hours a week, and she said if they could add 15 hours in another space, “we can increase the overall size and quality of the production by doubling the number of dances and holding longer rehearsal sessions,” she said. The reshuffling comes as the School of Public Health and Health Services moves out of its K Street location next month to head to its new building on Washington Circle. The basement was last used as a practice and performance space in 2011. The Hatchet misspelled the name of Rachel Weiss.